The next meeting of the Pattaya City Expats Club (PCEC) will be held on Sunday, July 12. Everyone is warmly welcome. Chris Matthews from Beertopia will be talking about craft beers and plans to make them available in Pattaya. The Club meets every Sunday morning at the Tavern by the Sea Restaurant located on the north end of Beach Road (part of the Amari Orchid Resort). The program starts at 10:30 a.m. with a buffet breakfast available from 9:00 to 11:00 a.m.
Pattaya Soul Club presents another Souled Out evening, playing the very best of Northern, Motown and Soul music on Saturday, July 11 from 8 p.m. to 10 p.m. at the Access on Pattaya Third Road. Free flow of wine & San Miguel until stocks last. Doors open at 8 p.m., 400 baht entry fee and all proceeds will be donated to the Hand to Hand Foundation. For more information, visit Pattaya Soul Club page on Facebook. The Pattaya International Ladies Club will be hosting an evening of music with the Salaya Chamber Orchestra at 5 p.m. on Sunday, July 12, at the Ballroom of the Centara Grand Mirage Beach Resort in north Pattaya. Enjoy classic compositions from Bach, Haydn, Elgar and Nielsen. Tickets cost 600 baht per person and can be reserved by email to: [email protected] Proceeds from the event will be allocated to the many different charities supported by PILC. A Joint Chambers Eastern Seaboard Networking Evening will be held at the Drum Room, Hard Rock Hotel Pattaya on Friday, July 17 from 6.00 – 9.00 p.m. (last drinks served at 8.30 p.m.). Price of admission is THB 400 for members of BCCT, AustCham, AmCham, GTCC & SATCC, and THB 800 for non-members (cash payment at the door). For more information and reservations, go to chamber websites: www. bccthai.com, www.satcc.info, www.austchamthailand.com or www.amchamthailand.com. The 2015 King’s Cup Pattaya City Marathon will take place on the morning of Sunday, July 19, with the runners setting off from a start point outside the Central Festival Pattaya Beach shopping mall. The event will incorporate a full marathon of 42.195km, a half marathon (21.1km), quarter marathon (10.55km), a wheelchair quarter marathon (10.55km) and a micro marathon (fun run) of 3km. Persons interested in taking part can apply and register online at http.//www.pattaya-marathon.net. The Bangkok Wine Expo 2015 will be held on Friday July 10 at the Dusit Thani Hotel Bangkok, Dusit Hall from 6.30 p.m. onwards. 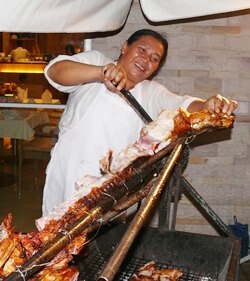 The evening session featuring wine-tasting and food is open to members of the public, with tickets priced at 1,400 baht. For more information and reservations, call 081 376 0456, or 081 584 5995. 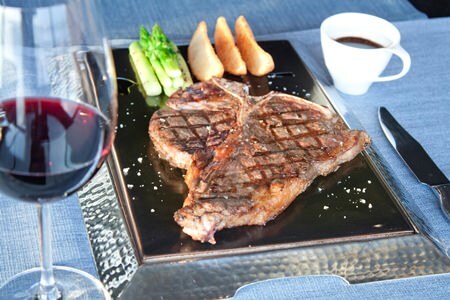 Havana Bar & Terrazzo restaurant presents premium Australian Wagyu rib eye steak available from July to September 2015. 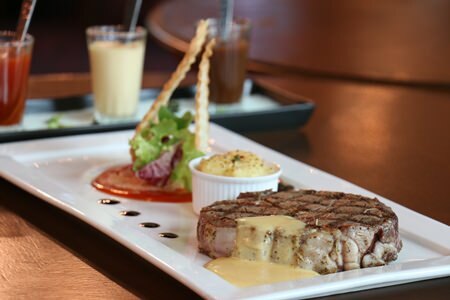 The steaks are served sizzling with a choice of side dishes and a selection of favourite sauces at a special price of THB 1,390 net including a complimentary glass of wine with every order. Available daily from 2 p.m. to 10 p.m. Havana Bar & Terrazzo Restaurant is located at the Holiday Inn, Beach Road, North Pattaya. For more information or reservations, call 038 725 555. 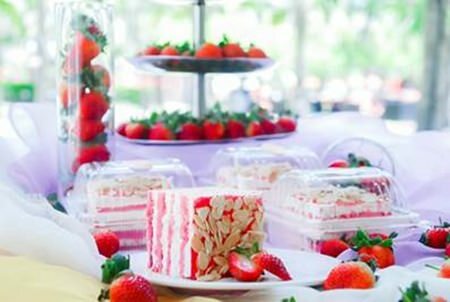 Amari Pattaya, in conjunction with Central Centre Pattaya, will be offering a special commemorative strawberry almond cream cake in celebration of Her Majesty the Queen’s 83rd birthday. The 83-metre cake will be sold at the Central Centre Pattaya on 8-9 August 2015 from 11:00 to 18:00. All funds raised will be donated to Amari’s “Baht for a Better Life” project to help support underprivileged children throughout Thailand. Slices of this delicious cake can be bought for just 70 THB per piece or 790 THB per metre (12 pieces). Advance orders can be placed with Amari Pattaya who will deliver the cake to your office or home from the beginning of August. Contact Amari Pattaya on 038 418 418. The Beach Club Restaurant at Pullman Pattaya Hotel G presents a unique wine tasting with Siam Winery on Wednesday 15 July from 7.30 p.m. at the Sunset Lounge. Experience exceptional tastes and flavours from France, Spain and Chile while indulging in an amazing selection of cold cuts from chef Wilfrid Aubier and enjoying the relaxed ambience of the Lounge hideaway with its breathtaking views of the Pattaya horizon. House music will be provided by DJ Fred Canal, resident DJ from Maggie Choo’s in Bangkok. Price: THB 890 net per person. For more information or reservations, call 038 411 940. 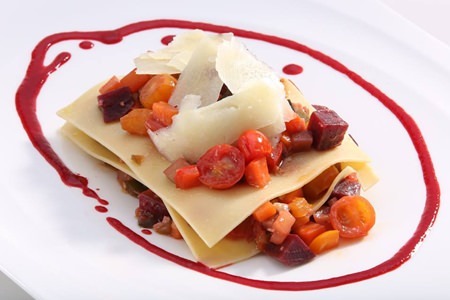 Jameson’s Pub weekly 3-course special menu: 375 baht (net) includes main course with a choice of starter. 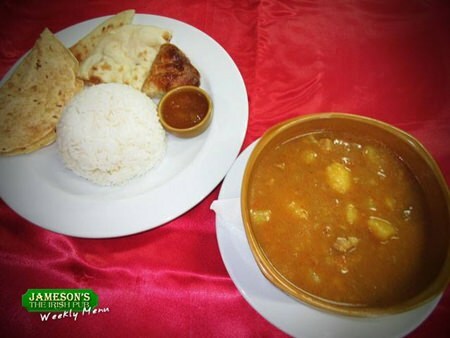 Main course option 3: Lamb Curry – lean chunks of New Zealand lamb cooked in a hot thick curry sauce with onions, carrots, cauliflower and potatoes served in an earthen ware dish with vegetable samosa, papadum, naan bread and Jameson’s mango chutney. Jameson’s is located on Soi Sukrudee (Soi A.R.) in central Pattaya. Call 038 361 874 for more information or visit website: www.jamesons-pattaya.com. ‘The Indian Curry Club is open within the Shenanigans Jomtien Shenanigans kitchen. The usual extensive menu is available daily while Thursday nights are dedicated to Indian Cuisine Club. For more information, call 089 021 4502. Whether you like them steamed or deep fried with meat or seafood, you are sure to enjoy a great selection of dim sum items during the ‘All You Can Eat Dim Sum for Lunch’ promotion at The Peak Restaurant of the Dusit Thani Pattaya hotel. 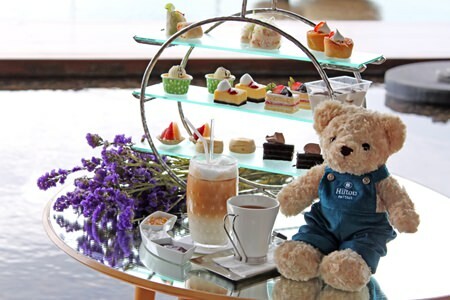 Soup and dessert are also included for THB 650++ per person (food only). Available Mondays – Fridays from 11:30am till 2:00pm. Tel: 038 425 611-7 Ext. 2149, 2276. 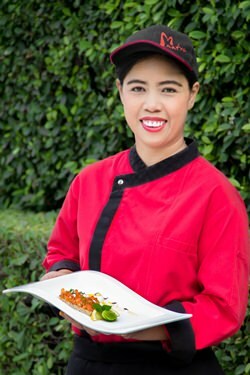 The Thai Garden Resort offers nightly dining presentations with different themed “all you can eat” buffets at the resort poolside: Monday – pizza & pasta buffet; Tuesday – BBQ buffet; Wednesday – multi-cuisine buffet; Thursday – German buffet with roasted pig; Friday – Thai buffet; Saturday – international buffet; Sunday – steak & skewers buffet. 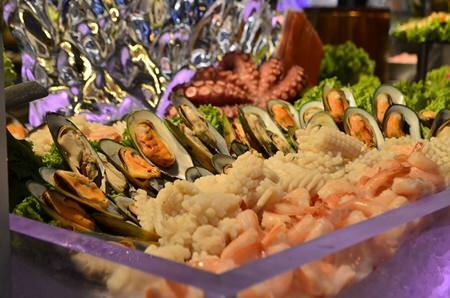 The buffet starts from 6 p.m. until 9 p.m. All this for just 399 baht and for each paying adult, one child under 12 years gets the buffet free of change from now until the 31st of October 2015. What you see is what you pay, no additional service charges or VAT. For reservations call 038 370 614 or make your booking at www. 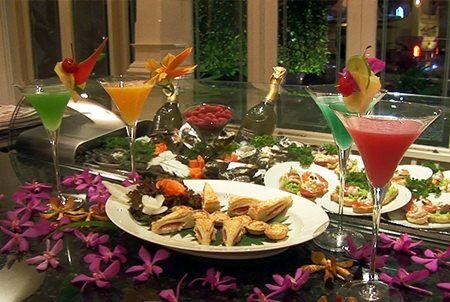 thaigarden .com under “buffet reservation”. Thai Garden Resort is located on North Pattaya Road, 200 meters from the Dolphin roundabout and 200 meters before Tesco Lotus. 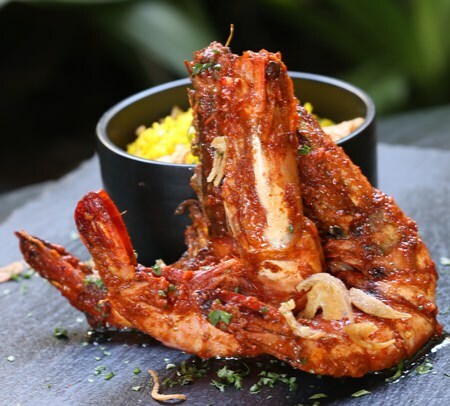 Flames restaurant offers a tandoori take on tiger prawns this month. Enjoy the bold tandoori flavors as the resident specialist chefs put prawns to a novel & delicious use. Flames is located on the beachfront of the Centara Grand Mirage Beach Resort Pattaya and opens daily from 6:00 to 11:00pm. Call 038 714 981 for reservations. The Tavern by the Sea Restaurant introduces the following daily promotions: Monday Curry Night features the tastiest curries, naan bread and salad buffet for just THB 499 net per person. Wednesday is Ribs & Wings evening: finger licking good ribs and 6 different kinds of wings – all you can eat for THB 449 net per person. 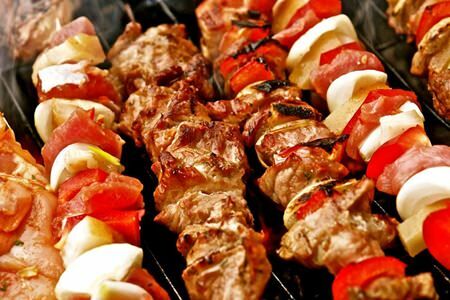 Friday & Saturday Churrasco Nights offer prime meats and seafood, grilled to perfection on the fire and freshly skewered for you on the churrasco pens at the Tavern. All complemented by a full buffet of starters, side dishes and desserts. Only THB 749 net per person. 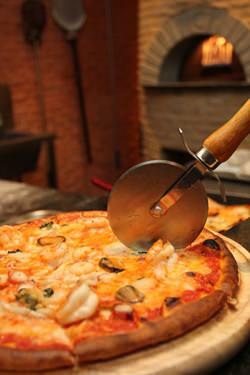 Every buffet is open from 18.30 – 22.00 hrs. There is also a daily happy hour from 11 am – 6 pm. Watch all the premier live sports on one of the many widescreen TV’s or on the big projector screen (Sports hotline 038 418 419). Amari Pattaya, Beach Road, North Pattaya, Tel 038 418418. Theatrical troupe Pattaya Players summer production will be held over the weekend 24-25 July at the Eastern Grand Palace Hotel on Soi Khao Talo. “Comedy Showcase” will bring six entertaining one-act scenes to the stage. Tickets cost 750 baht and include a welcome drink and an all you can eat buffet at the White Horse Pub. Buffet starts at 6.30 p.m., curtain up at 8 p.m. Tickets can be reserved by calling 083 548 0208 or alternatively payment will be accepted at the door. For more information, visit webpage: www.pattayaplayers.org. Early bird tickets are now available for the Wonderfruit 2015 festival, to be held at Siam Country Club in Pattaya from 17-20 December. This premiere lifestyle festival, taking place over 4 days, blends arts, music, entertainment, and social awareness. Tickets are on sale at 4,500 baht through August 15 and can be purchased at www. wonderfruitfestival.com. Professional Development Club coming to Pattaya. Learn how to become a strong communicator, get your points across with flair and impact, build the confidence to stand tall in front of groups and develop valuable leadership and management skills. Toastmasters is a member run nonprofit club with social events taking place once a week. Schedules of meetings and other important details will be announced soon in Pattaya Mail. For more information on Toastmaster’s Group in Pattaya – and to sign up to be notified of club meetings – check website: www. leaderconfident.com. The Royal British Legion Thailand meets the last Saturday of every month from 2 p.m. at the Tropical Bar on Soi Khao Noi (Watboonsampan near the Temple entrance) in East Pattaya. You do not need to have served in the Armed Forces to become a member and can join in the many social events arranged throughout the year. The Legion’s primary aim is the care and welfare of those who have served and/or their dependents. Should you be a former UK service man or women in need of help please contact us in confidence at: [email protected] rblthailand.org. Should you wish to join our branch, please contact: [email protected] or for general enquiries send email to [email protected], www.rblthailand.org.